It must have been quite the heartbreak to climb on top of an abandoned building to paint the announcement. 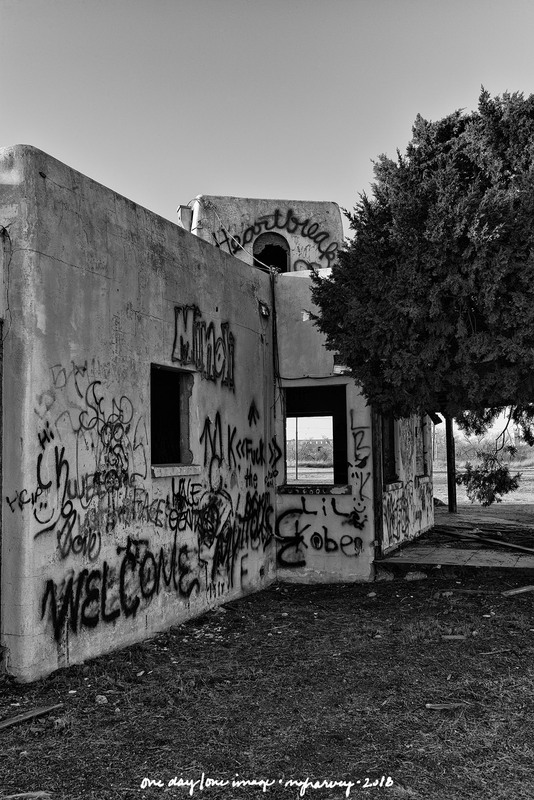 Posted on February 25, 2018, in Photography and tagged 365 photo project, abandoned buildings, black and white photography, graffiti, learning to see, Leica, lubbock, lubbock texas, melinda green harvey, monochrome, one day one image, photo a day, photography, postaday, texas, The Cliffhouse Project, thoughtful seeing. Bookmark the permalink. 2 Comments.